Has a contemporary country look. 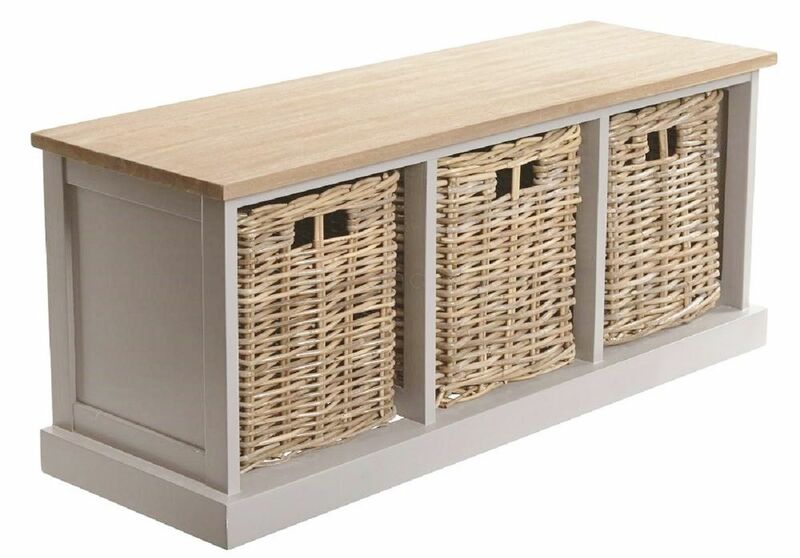 Complete with 3 large willow pull out baskets ideal for storage. Beautiful piece for a hallway entrance, boot room or could be just as good in front of a window with cushions on top for a window seat. H 45.5 cm W 108 cm D 36 cm approximately. Fully assembled - so no DIY.